You are not logged in. Please Login so that we can determine your registration status with this firm. If you have never registered, please register by selecting [Membership.Register] and check the box for this auction firm if you want to bid with them. Then Login. Listen to Live Audio! 1145 2c Black, D. Grill (84). 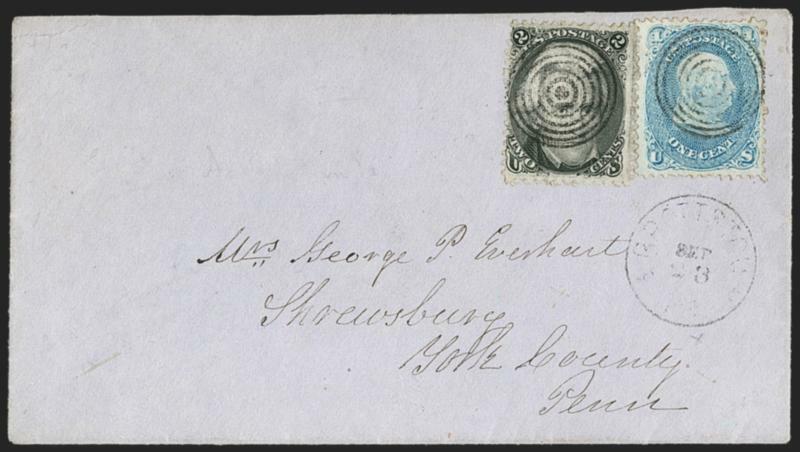 Clear grill, used with 1c Blue (63), slightly overlapping and tied by neat strikes of unusual target cancel, light strike of "Abbottstown Pa. Sep. 23" circular datestamp on purplish gray cover to Shrewsbury Pa. VERY FINE. A BEAUTIFUL COVER WITH AN UNUSUAL USE OF THE ONE-CENT 1861 ISSUE AND RARE 1868 2-CENT D GRILL TO PAY THE 3-CENT RATE. EXTREMELY FINE GEM. 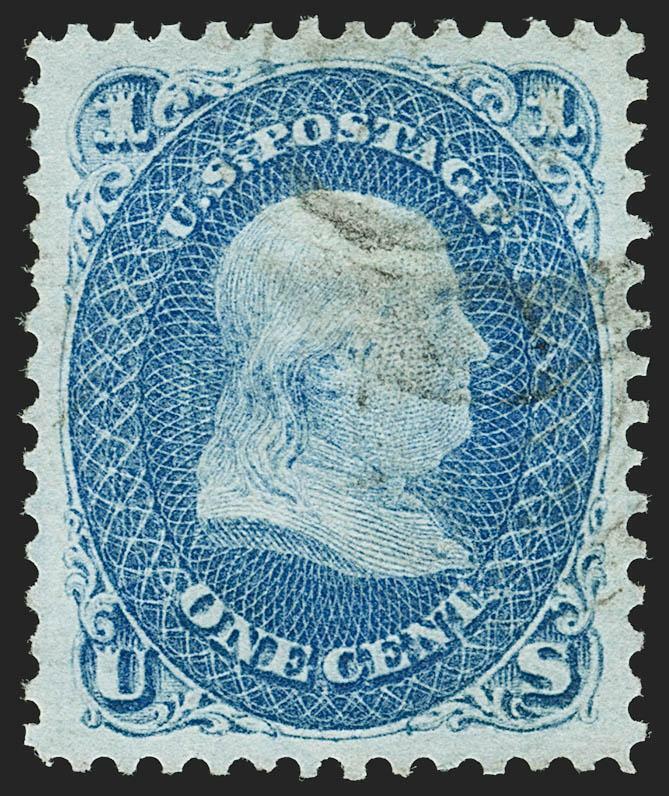 A MAGNFICENT USED EXAMPLE OF THE 1868 2-CENT Z GRILL, GRADED XF-SUPERB 95 BY P.S.E. The plates used to print the Black Jacks did not provide enough space between subjects for the large 12-gauge perf holes. 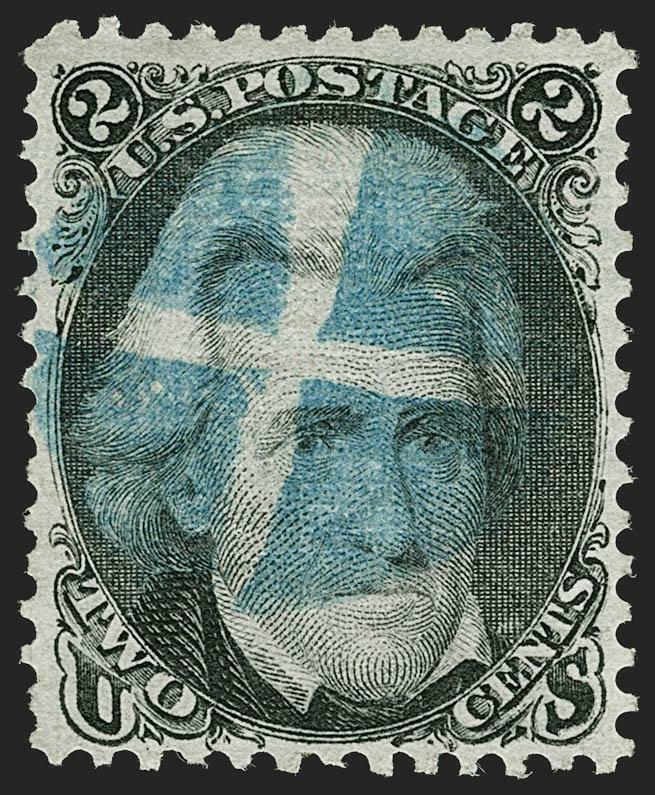 Consequently, most Black Jack stamps have perfs touching the design on one or two sides. This scarcity of four-margined copies multiplies exponentially when the Z Grill is factored into the equation. 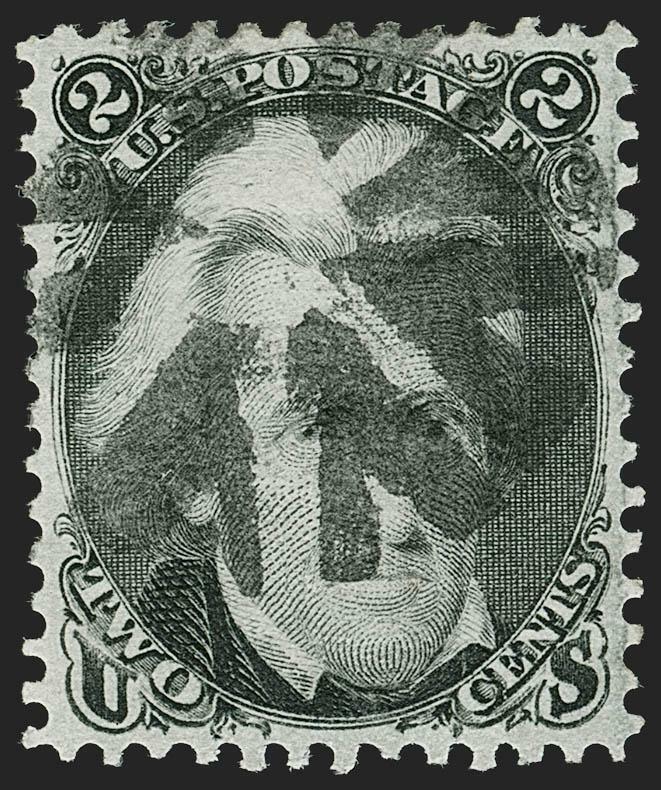 Only a small quantity of 2c sheets were grilled during the period when the Z device was active -- after the D Grill (Scott 84), the Z is the rarest of Black Jack grilled stamps. The 2c Z Grill is normally found with black cork cancels. This example, with choice centering and a colored cancel is very desirable. EXTREMELY FINE. 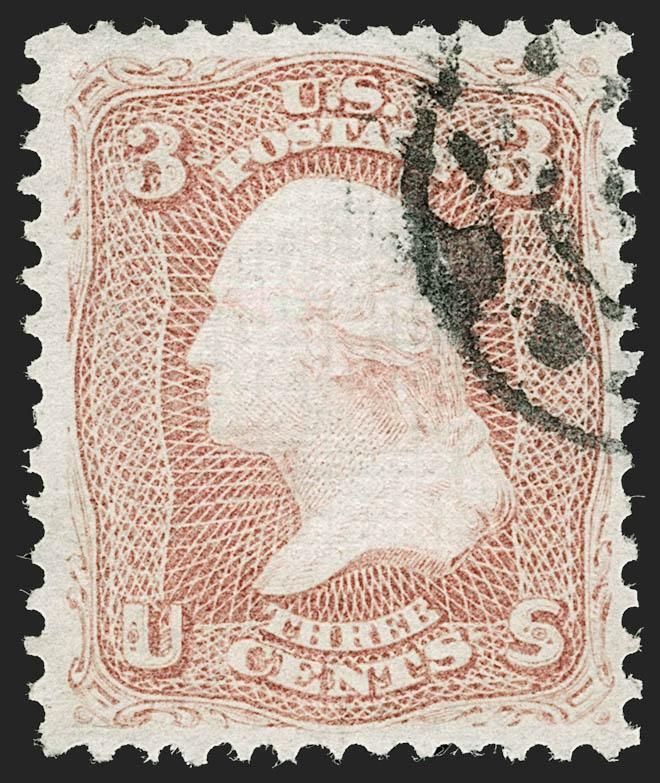 A BEAUTIFUL LIGHTLY-CANCELLED EXAMPLE OF THE RARE 1868 3-CENT Z GRILL. The 3c Z Grill was in production for only a short period of time before the device was replaced with the F Grill. Only a small number of 3c sheets were fed thru the Z Grill, which accounts for the rarity of surviving examples. Our review of past auctions, including Power Search, found precious few sound copies with anything above Very Fine centering. 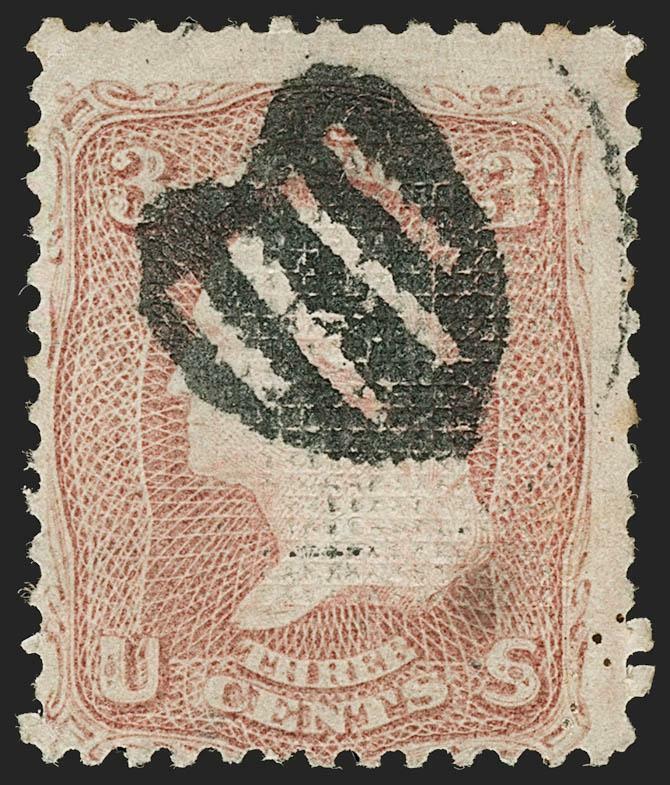 EXTREMELY FINE JUMBO USED EXAMPLE OF THE 1868 12-CENT Z GRILL. SCARCE WITH SUCH ENORMOUS MARGINS. EXTREMELY FINE GEM. 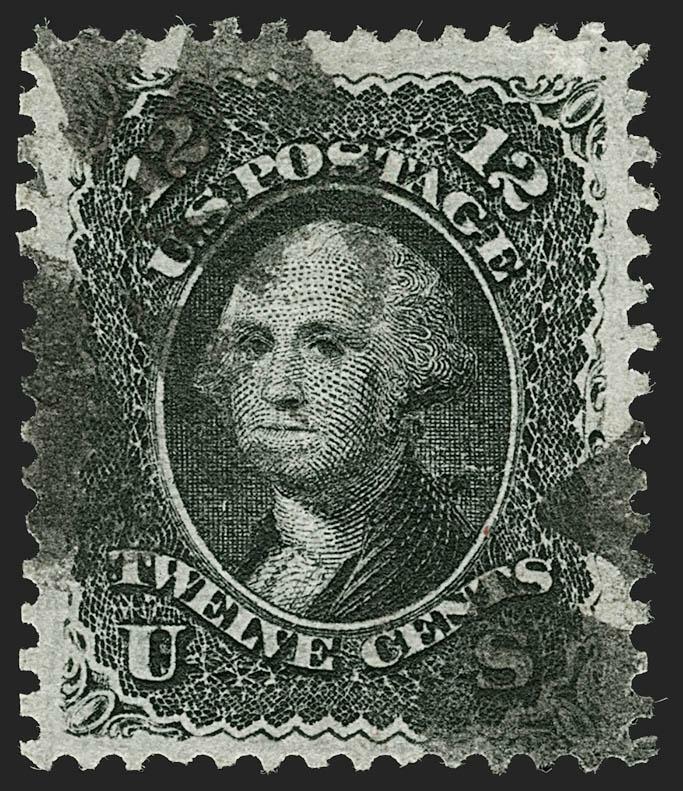 THE 1868 ONE-CENT E GRILL IS ONE OF THE MOST DIFFICULT STAMPS OF THE SERIES TO OBTAIN WITH SUCH CHOICE CENTERING AND IN SUCH PRISTINE CONDITION. 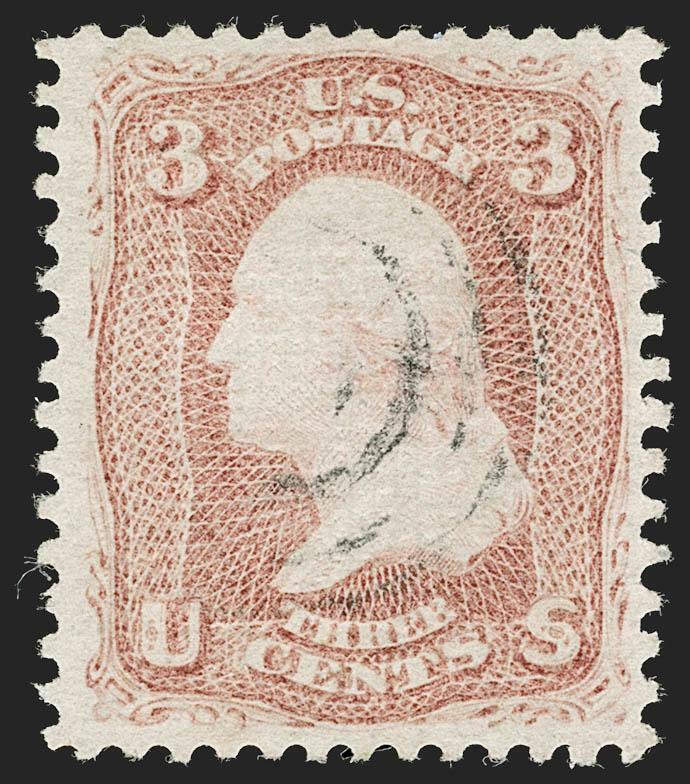 THIS IS GRADED SUPERB 98 -- IT IS THE HIGHEST GRADE AWARDED, AND THIS STAMP IS ONE OF ONLY THREE TO ACHIEVE IT. EXTREMELY FINE GEM. 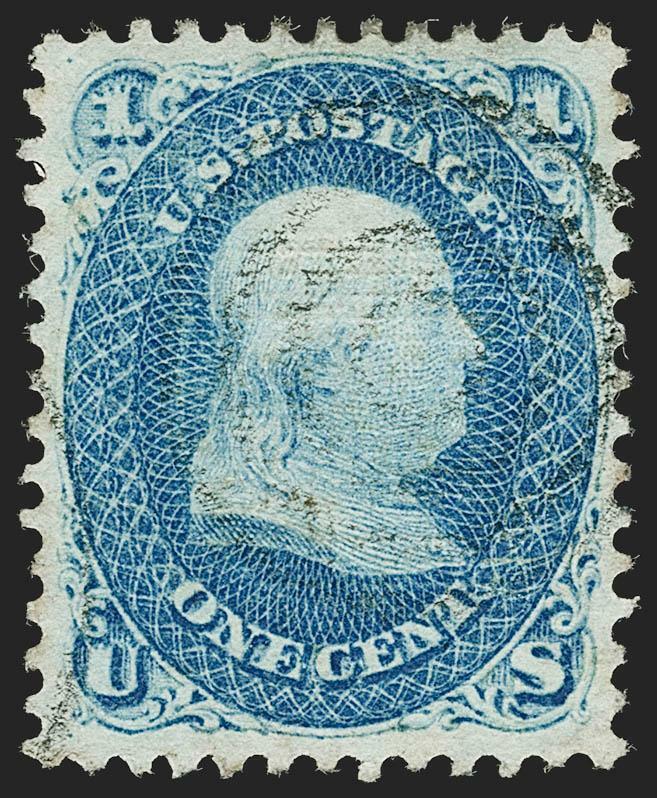 A SUPERB USED EXAMPLE OF THE 1868 2-CENT E GRILL. 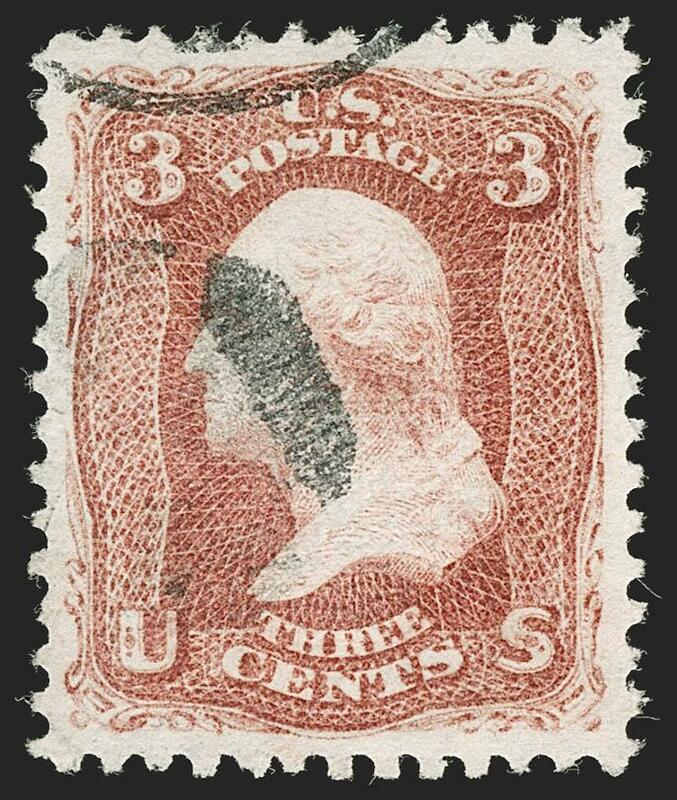 AN EXTREMELY DIFFICULT STAMP TO FIND WITH SUCH HUGE MARGINS AND IN SUCH PRISTINE CONDITION. 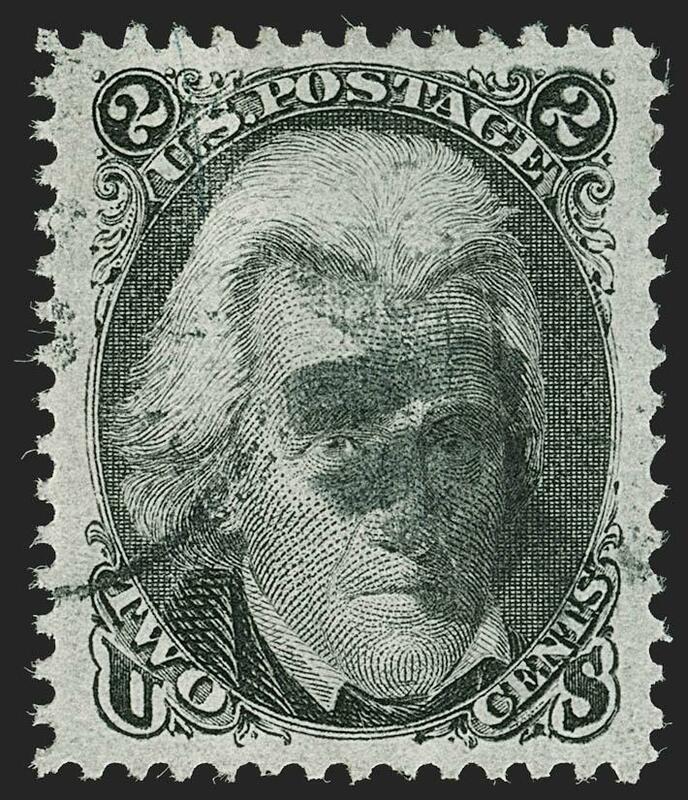 AN EXTRAORDINARY STAMP WHICH MAY WELL BE THE FINEST IN EXISTENCE -- GRADED SUPERB 98 JUMBO BY P.S.E., THE HIGHEST GRADE AWARDED AND THE ONLY EXAMPLE TO ACHIEVE IT.